Browse: Home » 03: Can you remember who you were? 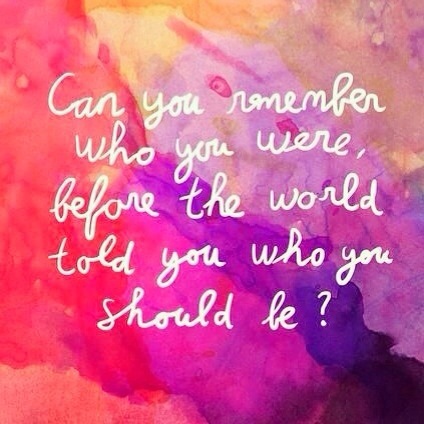 03: Can you remember who you were? Our personality and attitude is just an idea of who we are. Deep down, who are we? What is our purpose in life? Have you ever questioned… If you were born as a different gender, race, religion, nationality, or even family, and have different people in our lives, we would actually be a different kind of person? Look deep down inside, really deep inside and there you may find who you really are, with disregard of what defines you externally. Look into that person, and let that person radiate who you really are. What other people say about you do not define who you are. They just magnify who they were instead. Reach for goodness, humility, selfless thoughts and most importantly, positivity. Reach for it within yourself and let it shine through your actions.